Things around here are never dull. Some days are good.’Some days are bad. But, they are never dull. The good news is we were given some extra chickens a while back…for free 🙂 YAY! The bad news is I never even considered checking them for mites….duh. I know better. It just never even entered my brain. So, needless to say we had to check the whole flock. The ones we were given, along with two of our girls had them. QUARANTINED. We have an extra pen that has been dubbed..The Chicken Hospital. Before these dirty birds got the privilege of going into the Chicken hospital they had to be washed…yep…chicken bath. I have always bathed any “newbies” in this solution before introducing them to my flock…except for this time…I don’t know what happened. I do, however, have a theory. I think children kill brain cells. They are cute. They can be sweet. But, under it all they are ruthless. I swear ….I used to be smarter. But, child after child the I.Q. has plummeted some. Hmmm…suspicious. So…the girls are in quarantine for now. They will get another bath in a few days . We are also spritzing the others with a mixture of my Natural Fly Spray For Livestock , and we are checking them for outbreaks. 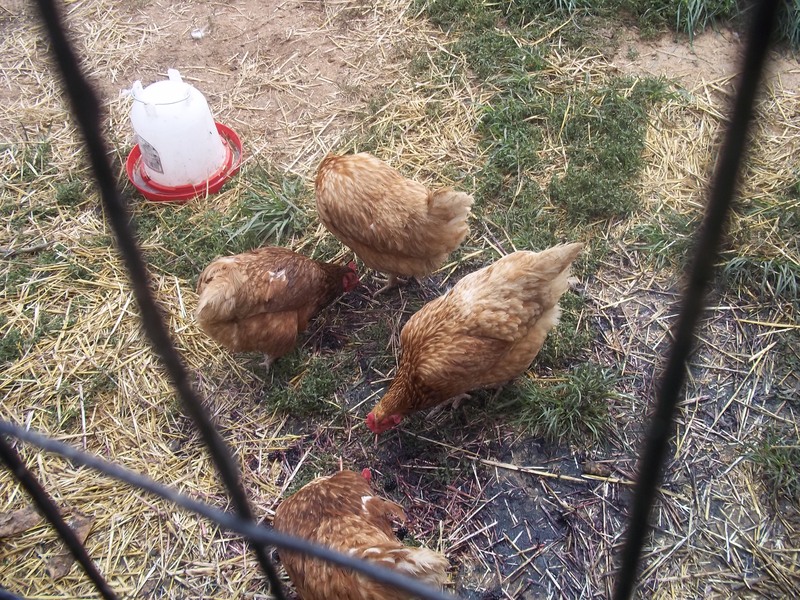 If they end up getting them…I get to give more chickens baths…exciting. We also cleaned the coop well, and sprinkled a whole bunch (the is a technical measurement, by the way) of DE. All of this makes me question people. I just read an article (in a popular farm magazine) that chickens for house pets are becoming all the rage….. blank stare…. I mean…I love chickens, I just would not want them as room mates. Apparently they even make….chicken diapers…not kidding. Oh well, maybe it’s just me that thinks it is silly.